Cacao is a well-known antioxidant and mood-enhancer thanks to the unique combination of alkaloids found in its seeds, which are believed to increase the production of serotonin. It also contains magnesium, a mineral crucial for mental sharpness and clarity. 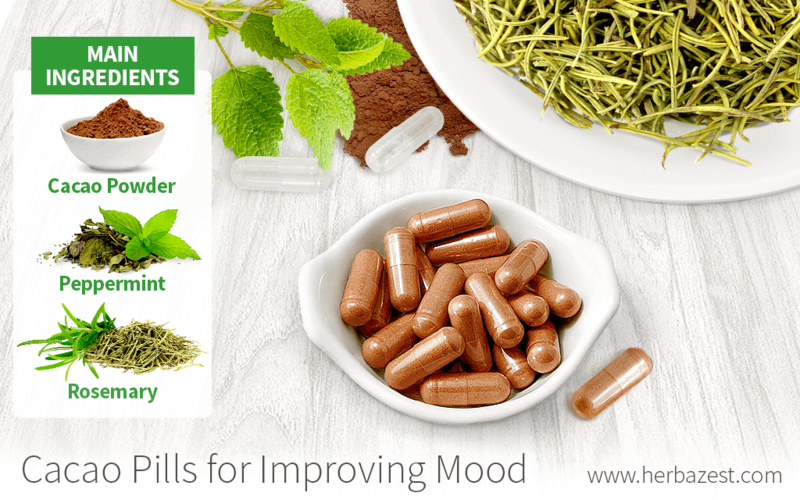 Additionally, these easy cacao pills include rosemary and peppermint, which can calm the mind and increase its awareness. They will keep you merry and bright all year long. Mix the dried herbs with the cacao powder in a small bowl. These cacao capsules can last for years if stored in an airtight glass jar in a cool, dark place. The suggested dosage is four capsules per day after breakfast for two weeks, followed by two capsules per day.